Ever wanted to catch a blue marlin or other trophy big game fish? Here’s your chance! Join the captain and crew of the Ruckus for a fun deep sea fishing adventure off the Waikiki coastline. The Ruckus is a newly refurbished 38' Bertram that features all that a fisherman needs – high-quality equipment, modern electronics, a comfortable cabin and a shaded fly bridge. 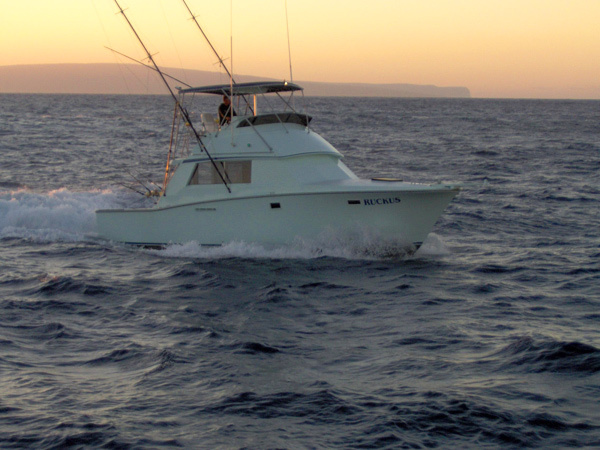 The Ruckus departs daily from Kewalo Basin Harbor, which is conveniently located just 5 minutes from Waikiki.